Organized gangs of thugs in leather jackets and tracksuits set on the streets of the capital city with their own laws, leaving police chiefs clutching their heads. Shortly, the delicate balance will collapse, giving way to chaos and endless clashes between criminal gangs. 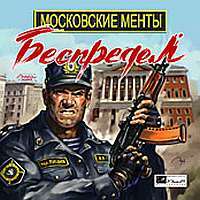 To restore order and peace in the metropolis, you play as an entrusted unnamed policeman, who alone will have to confront the hordes of well-armed instigators of the riots. There will be shooting in a garage, the basement of the bank, in the museum, the television station, the customs, the supermarket, and a construction site. There are ten levels in all, in which you must kill all enemies. Your weapons arsenal is composed of six types: a gun, "Uzi", shotgun, AK, shotgun and machine gun. You can find ammo boxes lying around and the occasional weapon, but there's no health kits. You can play all 10 levels in multiplayer as well.